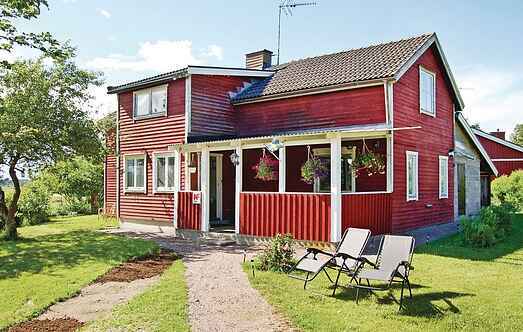 Find a vacation home to rent in Söderköping Municipality from our list of vacation rental properties. Campaya has over 15 vacation homes available in Söderköping Municipality, which give you the possibility to locate a unique accommodation in Söderköping Municipality which completes your check-list in search for the perfect self catering vacation apartments in Söderköping Municipality or vacation villas in Söderköping Municipality. Are you doing here in a spacious cottage holiday, it is tastefully decorated. 16 km are there to the picturesque Söderköping with shops, restaurants and historic buildings. Simple holiday home on the waterfront. Are you doing here in front of your own beach vacations, the beach is only 10 meters from the front door and porch is just down to the lake. The house is surrounded by a beautiful forest and offers behind the house overlooks the sea. This is just 150 meters away, ideal for swimming such as fishing alike. This beautiful holiday home is located an in impressive, undisturbed archipelago close to the sea. Here you will find a quiet and peaceful environment. This spacious holiday home is on a farmyard. Enjoy a view of the fields and the Gropeviken Bay from this home. The medieval village called Söderköping is about 25 km away. This home with bright and beautiful furnishing is on the edge of a forest on the outskirts of the summer idyll, Söderköping near Göra Canal. Beautiful apartment, furnished in 2004, with stunning views of the archipelago of St. Anna, just outside Söderköping. Here you will find a quiet and peaceful atmosphere. This wonderfully placed holiday home offers views of the meadows and has good fishing and swimming water nearby. The house is located in the wonderful St. Anna Archipelago. This converted farmhouse is located in the beautiful archipelago of Sankt Annas, outside of Söderköping.